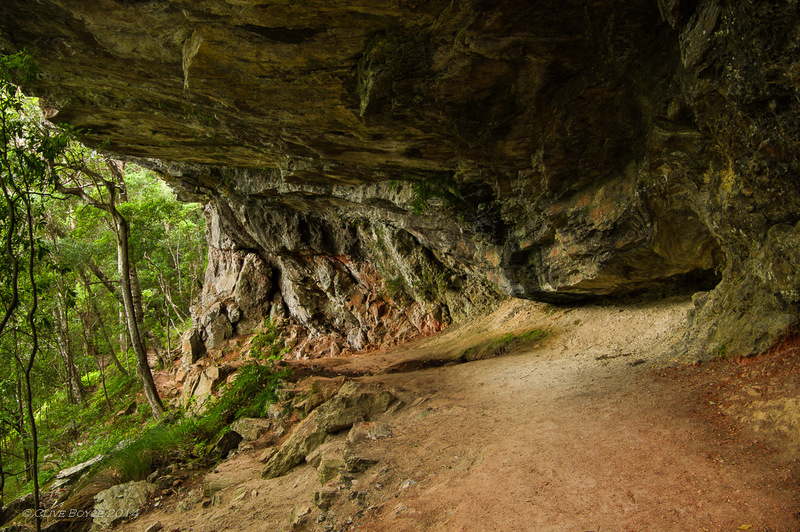 Continuing along the base of the cliffs, a short side track off the main path leads to this overhang. Providing superb protection from the elements, it’s not hard to visualise the original aboriginal inhabitants for thousands of years using this location for shelter. Blackfellow Falls, the second waterfall that the track passes behind. It would be a challenge to stay dry passing by here when the steam was flowing a little harder. This is the first of three water falls along a short section of the east branch of the Little Nerang Creek. There are a further two falls lower down in the forest which can be accessed by taking the longer Warrie walking circuit. Back up on the plateau now at the top of the Black Fellows waterfall. After the Twin Falls walk, I hopped back in the car and headed to the modestly named Best of All Lookout. 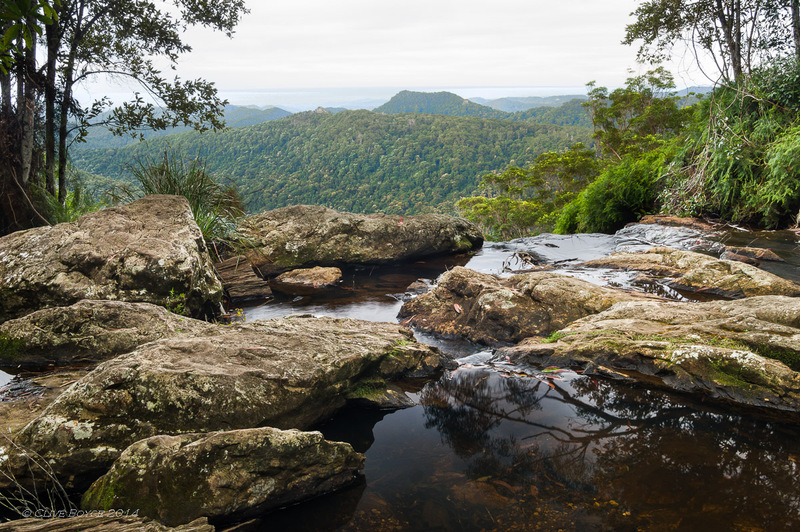 At 1000 metres elevation, the lookout is more or less the highest point in the park and has commanding views to the south and into New South Wales. 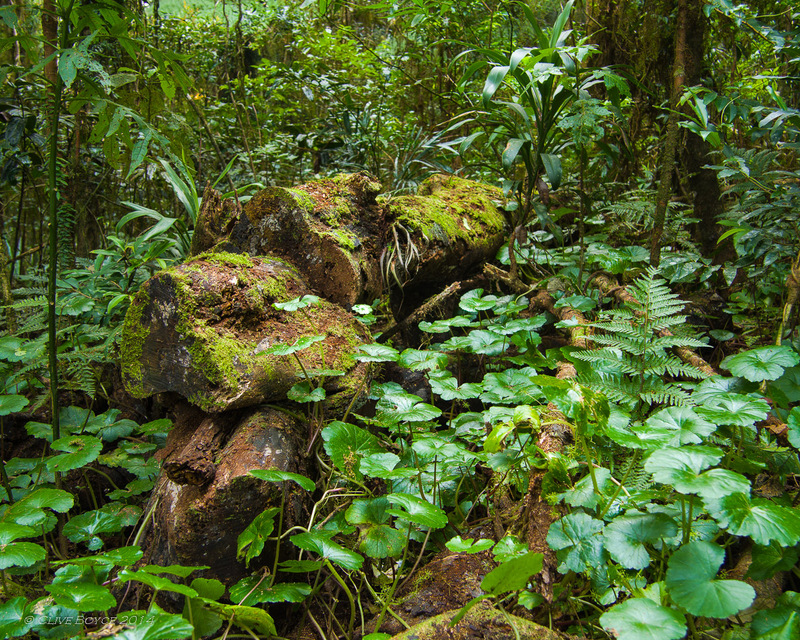 The walk to the lookout passes through sub-tropical forest, seen here in very dull late afternoon light. A gnarly masterpiece worthy of the Lord of The Rings, this antarctic beech is likely 1500+ years old. 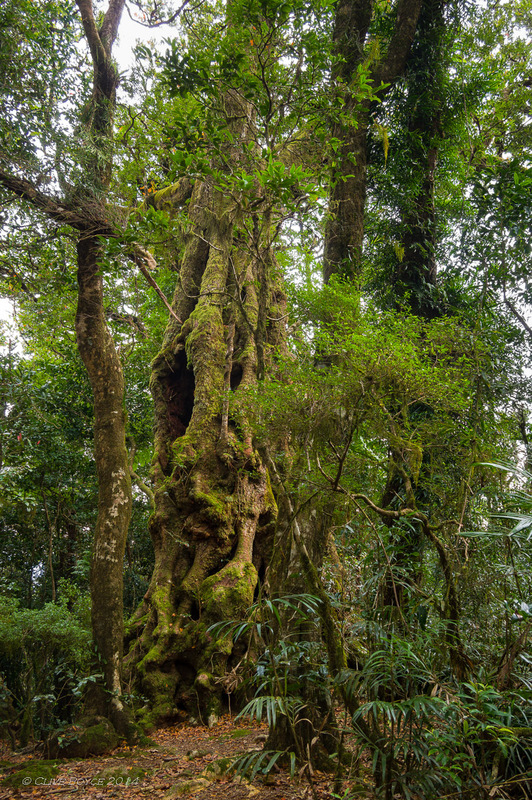 A relict of the Gondwanaland period, the antarctic beech is only found at a few select highland locations along the east coast of Australia where it is both moist and cool. This tree and others nearby represent the northern boundary of its range. Looking to the east into New South Wales and to Tweed Heads on the coast. 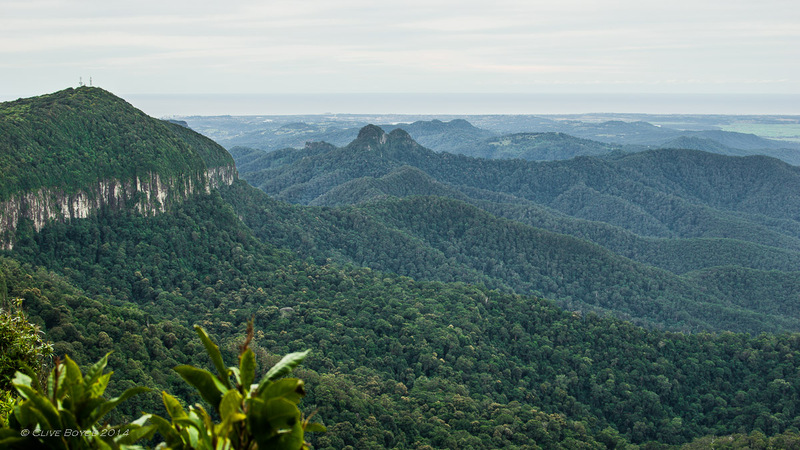 The escarpment on the left here forms the border between Queensland and New South Wales. Standing on the Best of All Lookout, I’m in Queensland. Were I to drop my camera it would likely land (after a long and expensive drop) in New South Wales. Again looking into New South Wales. 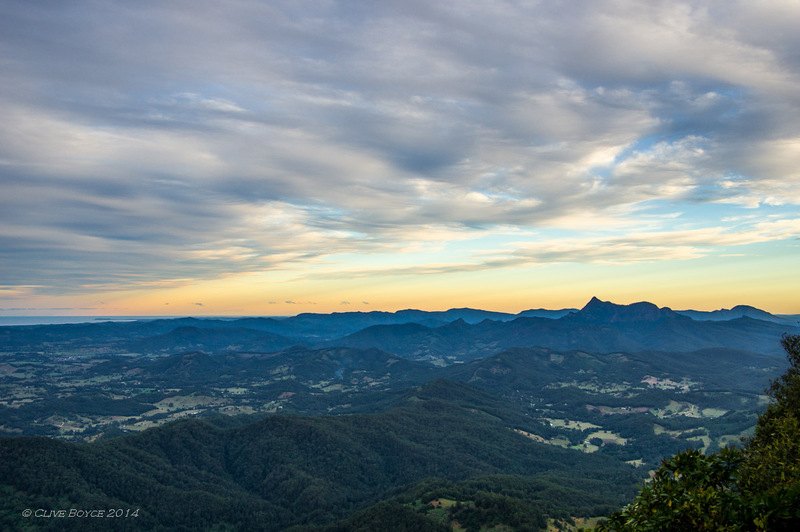 The tall peak is Mount Warning which is the first place in Australia to catch each morning’s sunlight. I would have liked to stay for the sunset, but was starting to feel guilty that my friend might want his car, so the camera was packed away and I headed back down to the coastal plains. All up, a day trip I highly recommend. Pentax K-3 camera + Pentax FA 20-35 F4 lens + Hoya polarising filter. Many of these images used shutter speeds around 1/4 to 1/12th of a second, and a few in excess of 1 second. Most photos were therefore taken with the K-3 mounted on my travelling Cullman tripod. 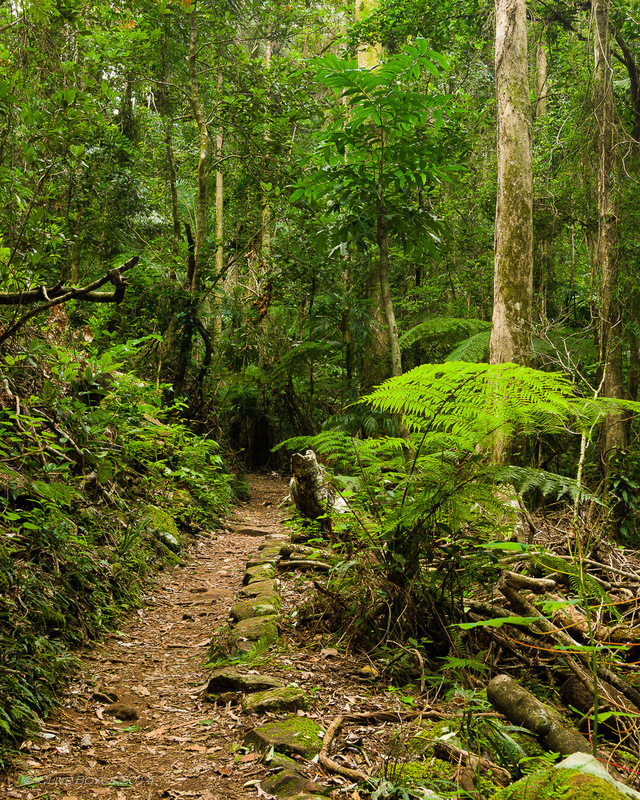 By car, Springbrook National Park is roughly 50 minutes (40km) from the centre of Surfers Paradise, or 90 minutes (100km) from Brisbane. Discover more about the park (including detailed maps of the features and walks) at the Queensland Department of National Parks website. A car is probably necessary, I’m not aware of any public transport that would get you into the upper section of the park. 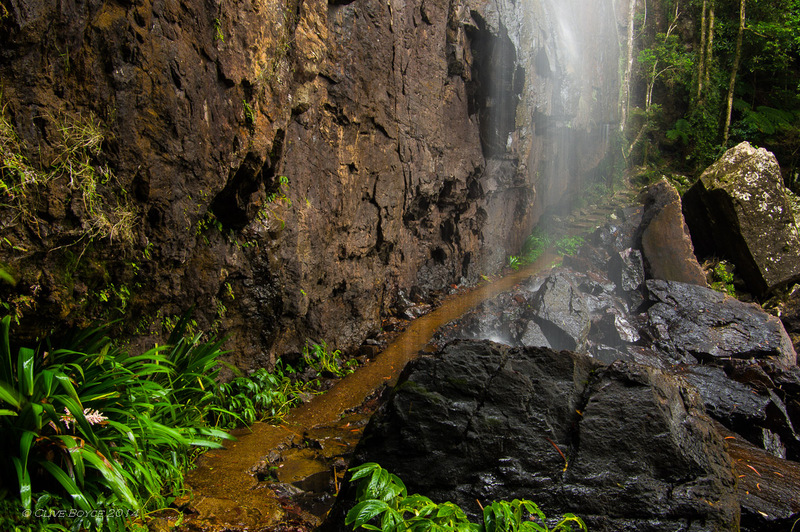 The Twin Falls track can be walked in either a clockwise or anti-clockwise direction. I went anti-clockwise and I felt that the climb back up onto the plateau was less steep than if I had walked the track in a clockwise direction. You need to be able-bodied but doesn’t demand too much in the way of fitness. Be prepared to get a little wet should the streams be flowing strongly. The track would likely be shut after heavy rain for safety reasons. Some other Photo Morsels Queensland posts can be found here. 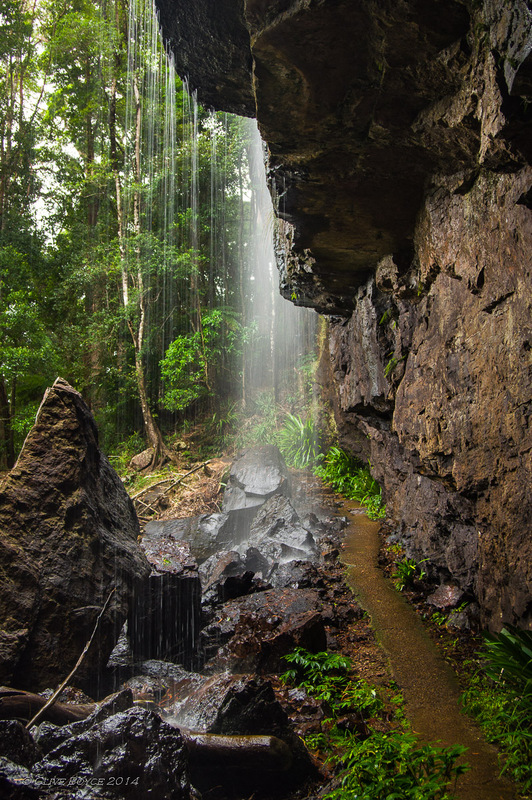 This entry was posted in Other States, Places to Visit, Queensland and tagged Antarctic Beech, Bushwalks, Gold Coast, Landscapes, Photography, Queensland, Springbrook National Park, Twin Falls, Waterfalls on June 23, 2015 by aussiesouthlander. Thank you Joshi. And I would encourage Photo Morsel readers to visit Joshi’s website at http://www.joshidaniel.com for some fabulous portraiture photography. What a spectacular place! I might say there is one too many waterfall images here but who cares? Lovely post here. I’m enjoying this a lot. Thanks for featuring this. You might be right Tim, I think I might have been a little carried away by how fabulous the Twin Falls walk was.